Both Sean Rutledge and Linda Bower provide specialized services in all areas of water law. 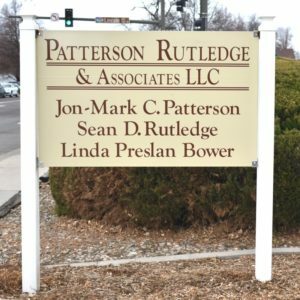 Many times a client may not be aware of the potential avenues that can be pursued under Colorado’s unique water rights priority system. Solutions to problems can include changes in water use, points of diversion, or place of use, applying to the State Engineer for well permits or replacements thereof, and planning and pursuing an Augmentation Plan to replace out-of-priority depletions through the water court process. Ownership of ditch rights or easements can also present unique issues that may require attention in light of Colorado’s system of prior appropriation and property rights. As much as Colorado’s water law system is based on historic practices, there are also newer avenues to pursue including alternative transfer mechanisms which allow more flexible agricultural protection and temporary leasing of water rights, or “interruptible supply” agreements subject to approval by the State Engineer. We strive to apply our experience with state agencies and courts and our relationships with expert engineers to give our clients practical and proficient guidance to accomplish their goals.